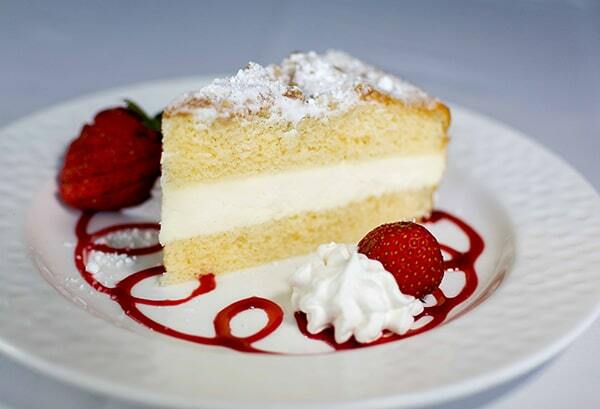 Pietro’s has a keen eye for detail and is reflected by the attentive and professional staff. The full bar overlooks the ninth hole of Island Dune Country Club and you can watch the sun drop over the river from just about any seat in the Restaurant. St. Lucie County has an amazing array of restaurants— both informal and formal— to satisfy every palate. Sometimes you want to dress in shorts and t-shirts, eat a quick, light bite and drink Rum Runners. But other times, you want to dress up, sip a cold Martini, Rob Roy or Manhattan and enjoy fine dining in a country club atmosphere with an amazing sunset view. 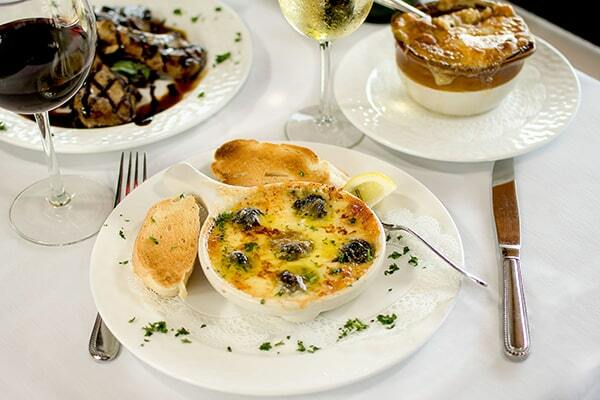 Whether you looking for a romantic meal for two or a larger dinner with family or friends, Pietro’s on the River at The Island Dunes Country Club is a place to slow down, relax and be spoiled. Pietro himself will greet you at the door and seat you as well as encourage you to step outside to take a picture of the colorful sunset. The dining room is classically elegant and every white-clothed table has a view of the Indian River. Happy Hour is Tuesday through Sunday from 4:30-6 p.m. where that Manhattan would cost you $7, house wine $4 and beer $3.50 or $3.75. 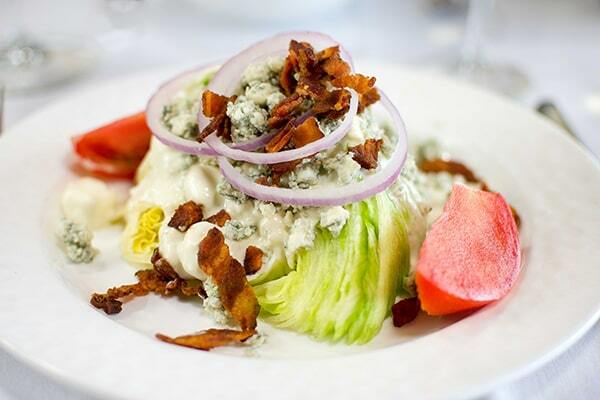 Sunset Dinner Specials for $28.95 from 4:30-6 p.m.Tuesday through Sunday. We arrived at 7 p.m. after making a reservation as suggested. Appetizers include Maine lobster or shrimp cocktail, fried calamari and eggplant stacks. 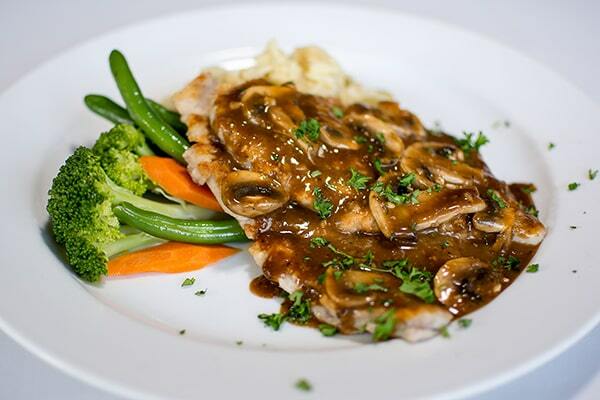 Dinner choices include pastas and entrees of chicken, veal, lamb, pork, fish or seafood. For a starter, we ordered Beef Carpaccio ($16). Thinly sliced, raw beef was served with toasted baguette slices. It was a tasty appetizer but would have benefited from a drizzle of mild fruity extra virgin olive oil and balsamic vinegar. One of my dining companions ordered the Chicken Marsala ($22.50). The dish also is was available with veal. The chicken and fresh mushrooms were tender and the rich, sweet Marsala sauce covering the medallions was enjoyable but not enough to garnish the serving of al dente penne. Buttered mashed potatoes may have been a better side. Another dining companion ordered the Salmon Florentine ($25). A large filet of tender, flaky, succulent salmon was served on a bed of sautéed spinach and drizzled with a white wine sauce. The dish was well-balanced and divine. 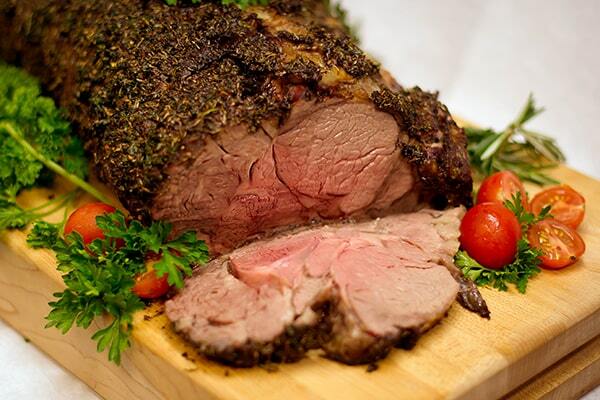 The Mister ordered the Prime Rib ($26.95). The huge, rich, decadent steak was well seasoned and roasted medium rare. This steakhouse dish, served with a mound of horseradish and a large baked potato, did not disappoint. Not a delectable morsel was left on the plate. I ordered the Sweet Potato Crusted Mahi ($27). The beautifully-presented, sweet mahi was encrusted with a sultry crust of sweet potato and panko bread crumbs laced with a lemony beurre blanc (a white butter sauce). A side of rice pilaf and a medley of vegetables rounded out the dinner. For dessert, we shared the apple crisp with a scoop of vanilla ice cream ($7.50). A house made wedge of slightly sweet apple pie topped with a delicious cinnamon streusel topping was a delightful ending to an enchanting evening. 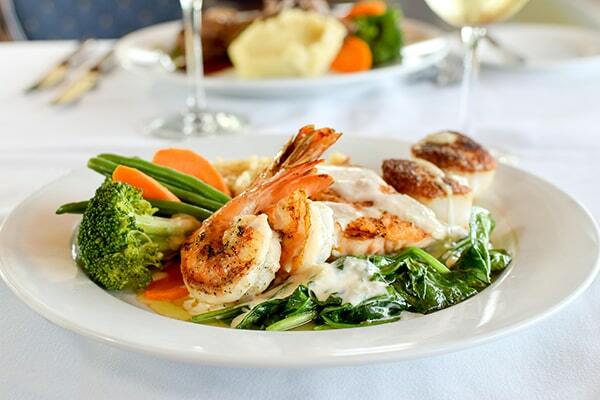 Pietro’s on the River is a beautiful, elegant (but welcoming) waterfront dining establishment. Reservations are suggested, and it is best to arrive early to experience the picturesque sunset view. Pietro’s advertises as a perfect venue for private parties and weddings and for those who choose not to celebrate turkey day at home and would prefer to dine out (and leave the dishes to someone else), Pietro’s is open Thanksgiving Day with a special menu designed for the holiday.